The other day, I went in for my regular wash, dry and loc and whilst waiting, started up a conversation with a lady who didn’t have any dreadlocks. I eagerly asked her “So you’re here to start-up your dreads?” to which she responded with, “Something like that.” She was there to ‘implant’ dreadlocks. For those who may not be familiar with this, this is when you buy someone else’s grown dreadlocks, these are connected to your own hair and Voila, you have a full head of thick, long dreadlocks. I too have my own thoughts and possibly reservations to this but that would have to be another article all together. As we were chatting, she then brought up that she had relaxed her hair, done braids and weaves many times but for the first time, was actually quite anxious about Monday morning with her new hairstyle. She was also presenting at a conference coming up the following weekend with many colleagues who have known her for years and admitted that she was concerned about what the impact of ‘this hair’ would be. ‘This hair’ not being a bright pink weave with yellow highlights and green dots. No, ‘this hair’ is simply a head of dreadlocks. I have always been astounded at how we take compliments about our weaves, braids or relaxed hair with a smile but one about our afro or dreadlocks with a cringe followed by a justification of why our hair is in the condition it is in today. As long as we, black women, are not comfortable with the different texture, shape and size our hair takes on, the world will never feel the need to respect the space we take up. I remember when I was much younger and wanted to have dreadlocks, my father would not have it. No child of his would be set up to fail in this life on his watch. With dreadlocks, you would never get a good job or be taken seriously. In my true rebellious self, in varsity, after a bad experience with braids, I took the little money I had and started my first twist. Although my father and I have never discussed my hair, he saw it, closed his eyes and made space for it in the definition of his daughter. Five years later, as a young black woman driving her career in a corporate environment, I have seen many more people expand their definitions of success to include a black woman, with dreadlocks. In a world where woman’s hair is being regulated and disciplined in many institutions, it is important that we take up the space we are in the fullness of who we are. For me, a glorious day would be a day where the question that matters is “What does my hair need?” Does it need a break for the hairline and roots to regrow (an afro) or a protective style to let it be untouched underneath for a while (cornrows) or maybe you want it to grow long and allow it to curl how it wants (dreadlocks). Whether you’re team natural or team not so natural, it is up to us to take up the space we need in the world. We too are here to stay. Article by: Ntyatyambo Ntloko | Mbewu Movement co-founding Member. 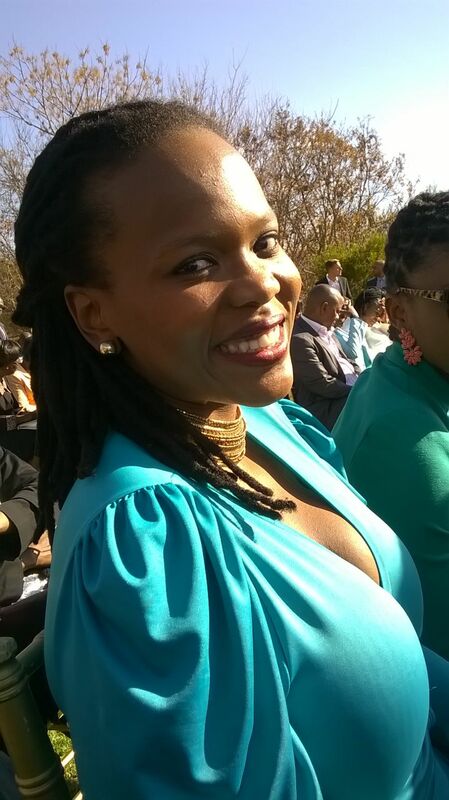 Ntyatyambo holds her Honours in a Bachelor of Business Science, majoring in Economics (University of Cape Town). She is currently in the FMCG industry in Brand Building.